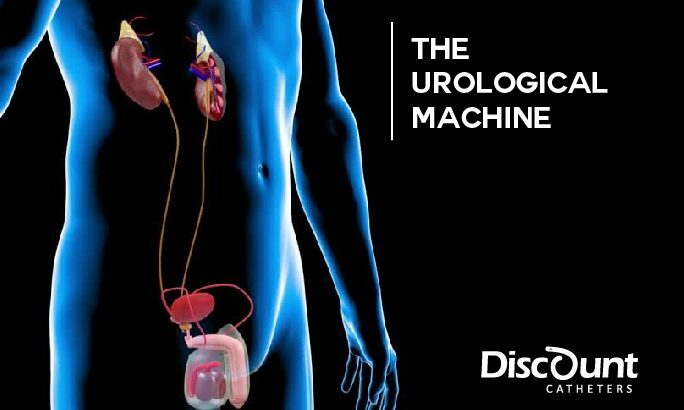 The urinary system is network of organs that work together in harmony to keep your body free of waste while maintaining proper hydration and electrolyte levels. There are byproducts that result from cellular metabolism such as inorganic salts, hormones, ammonium and organic compounds like urea that are no longer useful to the body and must be eliminated as waste in the form of urine. The amount of urine that is expelled on a daily basis depends on factors like quantity and type of fluid intake, dietary habits, your body’s current hydration levels and if certain types of medication are being ingested. On average, a healthy human being expels between 0.9 – 2 liters daily. The human urinary system is comprised of the kidneys and corresponding ureters, the bladder and the urethra. Each of these organs plays a vital function to ensure successful filtrations. The kidneys are quite remarkable. It’s the organ where filtration occurs and is also responsible for producing and secreting certain important regulatory hormones. As the circulating blood sweeps up the body’s metabolic byproducts, it makes its way through the renal arteries and into the kidneys’ intricate network of structures called nephrons. A nephron is the functional unit of the kidney and is made up of a group of capillaries called a glomerulus and a structure called a renal tubule. As blood makes its way through the nephrons, filtration occurs via absorption of H2O and the above mentioned metabolic byproducts by the renal tubules. During filtration, important elements such as phosphorus, sodium and potassium are retained according to the appropriate levels needed for the body to function normally. As mentioned, the kidneys secrete hormones that regulate vital processes. Erythropoietin – Regulates erythropoiesis, the production of red blood cells. Renin – Vital in the role of homeostasis by maintaining the balance of fluids and electrolytes, as well as the regulation of blood pressure. Cholecalciferol, commonly referred to as Vitamin D – Calcium absorption would not occur without the presence of Vitamin D.
Urine seeps its way through the ureters and into the bladder, which serves as a temporary storage unit. This is a continuous process where small amounts of urine are consistently discharged into the bladder. Any blockage along the urinary system causes a backlog of urine which can lead to kidney infection and damage. The bladder is a balloon-like organ surrounded by muscles that allow it to distend as it fills and holds urine until you are ready to void. Urination is signaled by bladder nerves as bladder distention reaches a certain point and these signals increase in urgency the fuller the bladder becomes. Diminished sphincter muscle tone with increased chances of incontinence. Rise in the likelihood of urinary tract infections. Factors that can affect frenal are past or present infections, trauma or mechanical blockage of the urinary system. There are some who suffer from some form of renal disorder and are not aware of it. Kidneys can effectively do their work even when doing so at 50% capacity. However, if their functions fall below 20%, diseases can arise which may ultimately lead to becoming bedridden with dialysis until a kidney transplant is available for treatment. Kidney functions can be lost suddenly due to a sudden severe injury or poisoning, causing renal functions to be lost and leading to urea and other waste accumulation in the body. This is called acute renal failure and can even result in death in its severe forms. A common symptom of renal failure is generalized edema as a result of uremia which simply means an increased concentration of urea in the blood. If the kidney loses all functions, this is called end-stage renal disease (ESRD). The simplest (and often times most enjoyable) way of ensuring healthy urological functions is to drink enough H2O to become hydrated. Luckily for us, we have an abundance of this clear and odorless liquid we call water and its consumption should always be part of our daily lives to ensure a clean and hydrated filtration system throughout our lives.